The market for epinephrine autoinjectors has been anything but boring over the last year. On the negative side, there have been pricing scandals, recalls, coverage restrictions, and more. On the positive side, competition was re-introduced into the market and consumer prices plummeted with the return of the AUVI-Q as well as generics becoming more prominent. Meanwhile, in Somerville, MA, a small company has been quietly developing a revolutionary new epinephrine autoinjector. Not much is known about this company as they go about their business of completing development and preparing for FDA filing, but they can’t stay secret for long. I have known this company, Windgap Medical, for a few years and am very excited to have the opportunity to introduce them and their unique, game-changing autoinjector to you today. 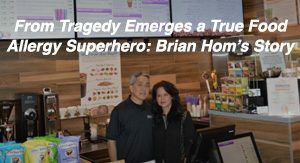 To do so, I interviewed Brent Buchine, co-Founder and Chief Technology Officer of Windgap Medical. AllergyEats: What is the background of Windgap Medical and why did the company decide to enter the epinephrine autoinjector market? Brent Buchine: At the time, my business partner, Chris Stepanian, and I were working as service providers. I had a small business doing contract manufacturing for next generation semiconductor products. A significant portion of our business was in medical. 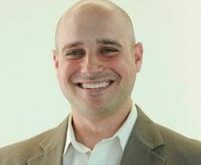 Chris was a business strategy and technology consultant with a strong domain expertise in advanced materials. We had a background in developing products for our clients but we were looking to get into a new venture that was more product focused. We didn’t have any specific market in mind, so we started looking for problems to solve in a variety of areas. We came across the epinephrine market and saw a real need for a better product. So, we spent time talking to patients and doctors about what they liked and didn’t like about the current autoinjector products available. That set the stage for what the market wanted to see as a solution and we hit the ground running. AE: The market for epinephrine autoinjectors seems to be becoming more crowded. What is Windgap’s differentiator? What sets your device apart from the competition? BB: Through our discussions with patients and doctors there were a lot of things people complained about, but a recurring set of problems allowed us to focus on an ideal solution. We see a real need for patients to have something that is life-compliant. Something portable they can carry easily in a pocket. Something they don’t have to refill every year. A medication that will survive if it’s exposed to more extreme temperatures. And a product that’s easier and more intuitive to use. 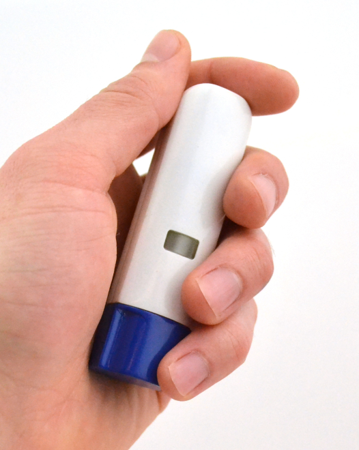 Right now we’re developing what we believe will be the next generation of epinephrine autoinjectors. Ours is the most portable form factor for carrying of anything we’ve seen. We’re also working on a formulation that we hope will double or triple the shelf-life of the medication. This leads to a massive cost savings for the consumer. By increasing the shelf-life of the drug we’re able to reduce the annual cost of ownership. Imagine only having to renew your prescription every two years, or every three years, rather than every year. That’s huge! AE: So, whether I hit the beach or the ski slopes for a day, will I have the same concerns I have today about my epinephrine autoinjectors no longer being useful due to extreme temperature exposure? How about if I leave them in a car? Can I do so as a matter of routine? BB: We expect our product to be much more stable in extreme conditions, so if our epinephrine autoinjector is left in the hot sun it won’t lose potency as quickly as other products. The current storage requirement for other epinephrine autoinjectors is very tightly specified as room temperature. In reality, people don’t live their lives at room temperature and in some cases even the temperature of your pocket can exceed the necessary storage requirement. If we can widen the range of acceptable temperatures, people can live their lives feeling more confident their medication is going to be potent when they need it. AE: Can you describe the size and shape (and any other distinguishing characteristics) of the Windgap autoinjector? BB: Well, it’s about the size of a roll-of-quarters or a lipstick tube. So, clearly portable and comfortable to put in a pocket. We get our shelf-life and stability benefits because our epinephrine is stored in the injector as a dry powder. Many people know that you can preserve foods and drugs by freeze-drying them and removing the water. At the end of the day it’s the same medication, just dry. Our key innovation is that when you remove the cap from our injector, the device rapidly rehydrates the dose automatically before it’s injected. So, what gets delivered into the patient is the exact same liquid they’re used to. Same drug. Same dose. No different from a patient’s perspective. AE: Can you describe, specifically, how your autoinjector would work from the point of view of an individual having an anaphylactic reaction? How is it easier or more difficult to use versus existing autoinjectors on the market? BB: Our device is incredibly simple to operate. The user twists off a cap in one step. This does the mixing. Then they push the device into their thigh. The skin-fired trigger, very similar to what you see on other products, triggers the needle to fire and deliver the liquid dose. When the user pulls the device away from their skin, a shield extends over the needle to protect against needle sticks. There’s no sleeve or case to remove the product from. It’s self-contained by the cap. It’s also very clear about which end the needle comes out of – something that’s been an issue with other products where people end up injecting it backwards into their thumb. AE: Where do you stand in the testing and development of the Windgap autoinjector? BB: We have a pilot line that’s building thousands of devices as we speak. We’ll use this production line to manufacture the devices we’ll use to collect the data for our submission to the FDA. Testing, characterizing, re-testing, re-characterizing, is a crucial loop in our development cycle. We try to think of every possible way our device might be used. As I said, we’ll have to collect all this data for the FDA, but right now we’re working hard to improve and refine before we submit. We want to make sure we know the answer to the question before the question gets asked. It’s the prudent way to develop a life saving product. AE: When do you anticipate the Windgap autoinjector will be on the market? BB: As much as I’d love to have an answer to this question, it’s difficult to anticipate. We know there’s a lot of pressure from the government to get competitive products into this market, but at the end of the day, we need approval. The FDA controls this and it’s not always certain how long something will take. We are working diligently with the help from outside experts to submit the most complete, comprehensive application. We should be ready to submit to the FDA for review in the next year-and-a-half or so. AE: Do you have a name yet for your autoinjector? BB: We call the autoinjector ANDI. It stands for [A]utomatic reco[N]stitution [D]ual chamber auto[I]njector. That name is really descriptive of the device and the platform technology that we’re also using for products in other markets. We haven’t named the epinephrine product yet. That’s something we’ll finalize as we get closer to commercialization. AE: Recently, epinephrine autoinjector pricing – on the whole – has come down dramatically for the consumer with $0 copay offers and generic replacements. How will Windgap’s proposed autoinjector be able to compete in that market and do you currently have an estimate of its price? BB: We don’t have a price for the product yet. That’s something we’ll establish closer to launch. We’ve certainly been monitoring price flux in the market and how others are reacting to what Mylan and others are doing. In the end, we anticipate having the longest shelf-life of any product available. Our product design and automated manufacturing will also drive our cost of goods lower than others in the market place. We plan to offer a competitive solution with a low cost of ownership to the consumer and believe this is the going to be the next generation of epinephrine autoinjectors that patients will prefer to own over anything else available. AE: Will the Windgap autoinjectors be sold in packs of 2 like others on the market? Will there be a junior dosage version as well as a standard version? BB: Yes, our plan is to have a 0.3mg dose for adults and a 0.15mg junior product. We also expect to offer two autoinjectors and a training device in every box. 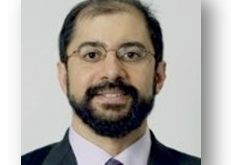 AE: Pharmacies and insurance companies seem to be “taking sides” on which epinephrine autoinjectors to cover, stock, and promote lately, making the availability of some existing autoinjectors more spotty than in the past and frustrating to many consumers. So, how confident are you that insurance companies will be willing to cover the cost of Windgap autoinjectors and that pharmacies will be willing to stock them. What is the basis for your confidence? BB: There’s a lot of work we need to do to get there, but we’re committed to getting this product on the market. There is no question our features are a vast improvement over anything else out there. We’ve talked to patients, doctors, pharmacies and insurers about our product. We see it of paramount importance to work collaboratively with the pharmacies and insurance companies to ensure our product is covered and on the shelves. We believe our extended shelf life can save the insurance companies money. We expect a tremendous amount of pull from the consumer and we intend to be very disruptive to other products. This is a product solution patients are crying out for. We need to make sure we can get it to them. It’s why we’re here. AE: Is there anything else you would like to share with our readers about your coming, and very exciting, epinephrine autoinjector? BB: I just want people to know we’ve heard them loud and clear. We are listening to the concerns they have about product features and price. Windgap is working hard to develop a product that truly improves the lives of patients. We are passionate about our pursuit and committed to our goals. Please, bear with us. Connect with us. There are so many people out there suffering through severe allergies and we want to help. 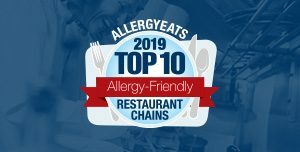 Thank you, Brent, for taking the time to introduce the food allergy community to Windgap Medical and for sharing details about your coming autoinjector. 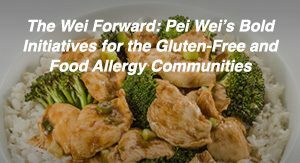 It certainly sounds like an exciting, revolutionary new product, and I’m sure the food allergy community will be anxiously looking forward to learning more and eventually (hopefully) having the opportunity to purchase it. 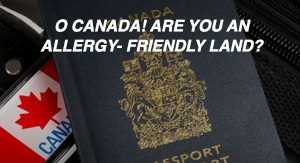 What do you, our AllergyEats readers, think? Please share your thoughts in the Comments section below. 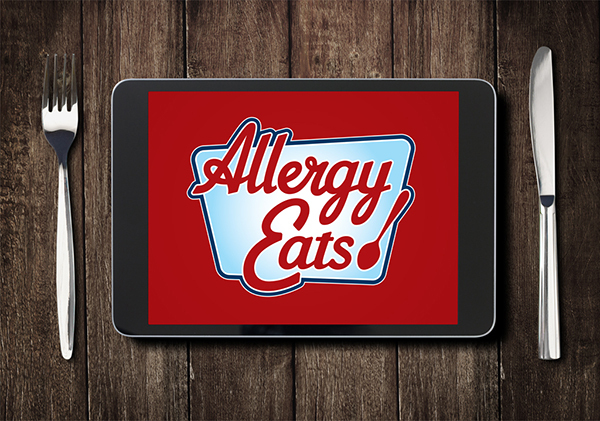 And while we’ve got you, please remember to rate all of your restaurant experiences on the AllergyEats website or app. 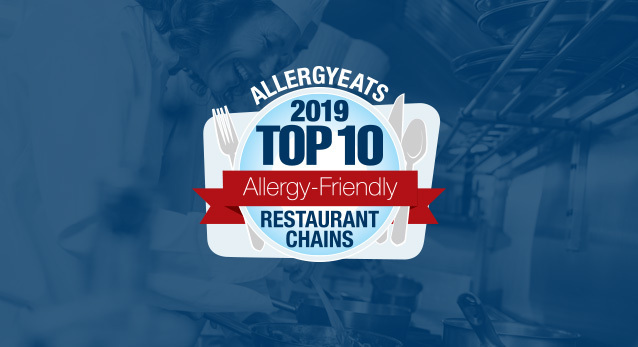 Rating a restaurant only takes a minute, but each one makes AllergyEats a more valuable resource for the entire food allergy community. Can’t wait for this autoinjector. Especially love the compact size! Very interesting. Thanks so much for the interview. Thankful for innovative people working to make changes in our world. Smaller device & longer shelf life is a WIN! Looking forward to its launch! 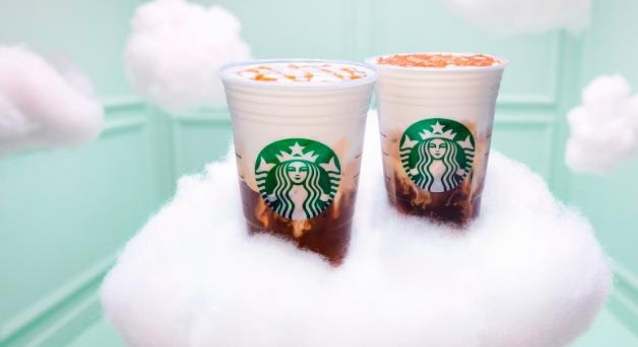 I think this sounds amazing, and I cannot wait for it to get FDA approved and to hit the market. I would love to never purchase another epi-pen again, or give Mylan or Heather Bresch another cent of my money. I think the Mylan company is despicable and I only purchase the epi-pen because there is no other choice. I applaud your company for making an alternative! Please look outside just the US market. We desperately need an alternative to epipens here in Australia. We have a well settled medicare and none of the politicking nor price manipulation that the US has. This is good news. Can’t wait. Don’t dissapoint us with the price. Would like to discuss getting it to JOrdan and the Middle East as soon as it’s out !! I live in Florida; will this device be effective if it is stored in the glove box of an automobile frequently parked in the hot sun? a year. There is a shortage. The ones you get are short dated…some only expiring in two months. I wish your company good luck.